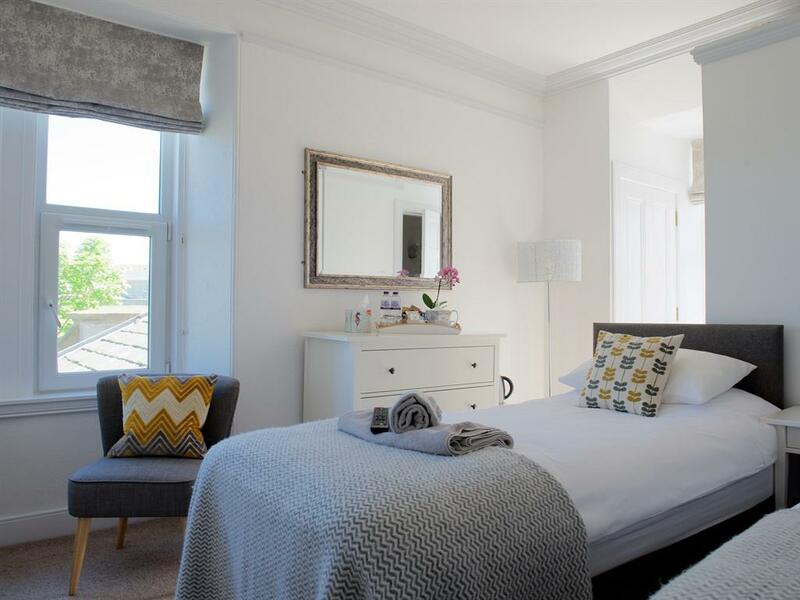 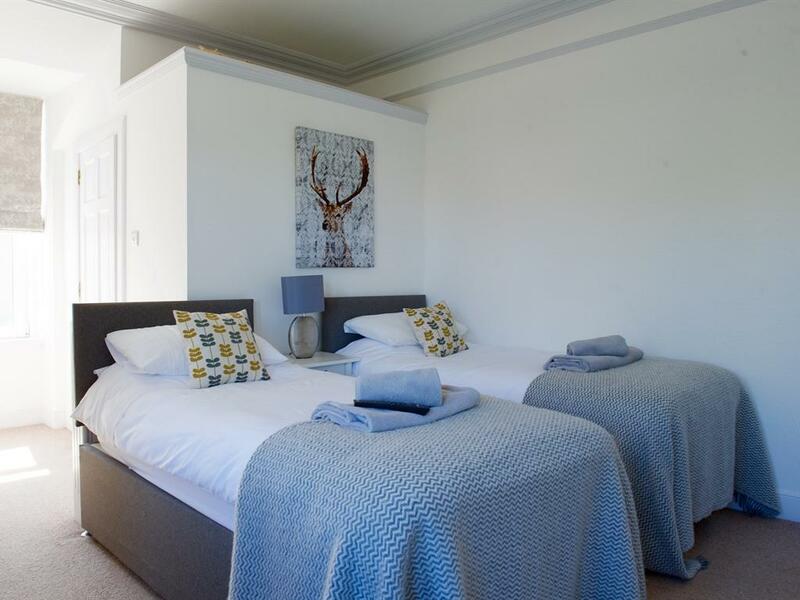 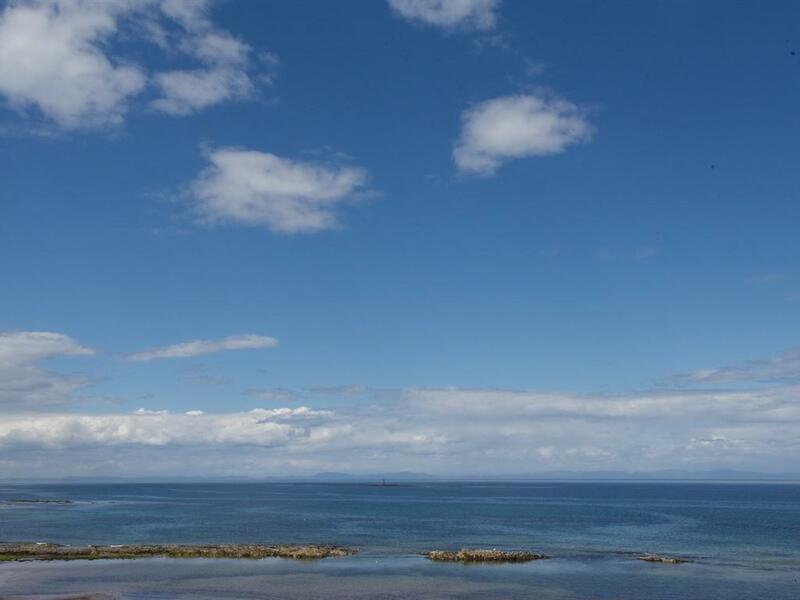 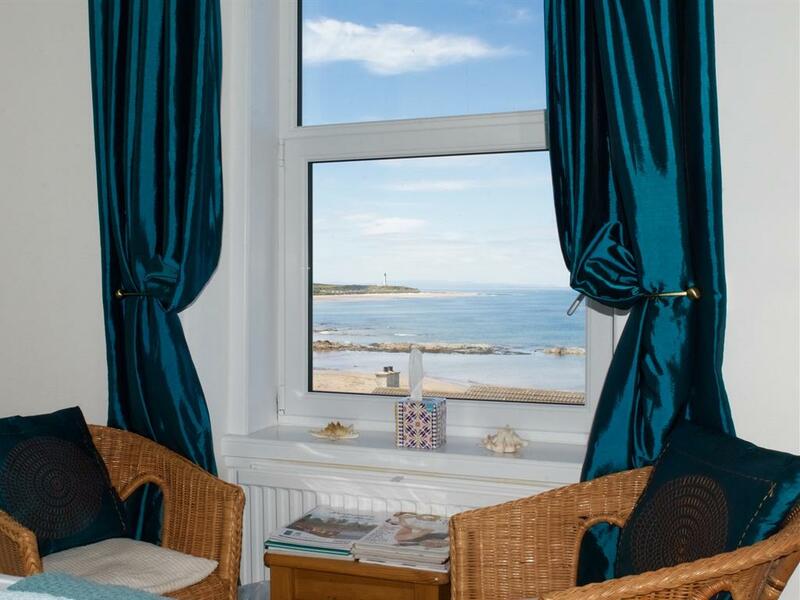 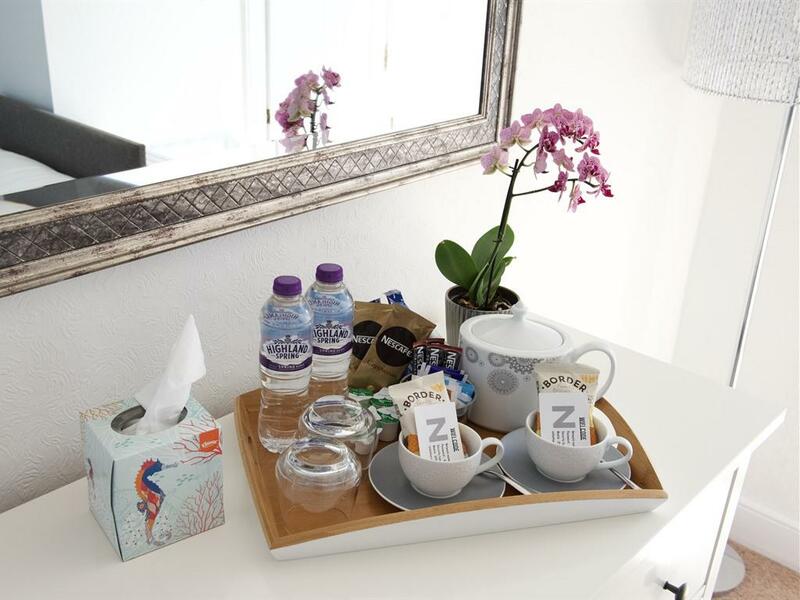 All Double or Twin rooms have en-suite facilities, comfortable beds, flat screen TV, tea & Coffee making facilities and come with an uninterrupted sea view across the Moray Firth towards the north east coast of Scotland. 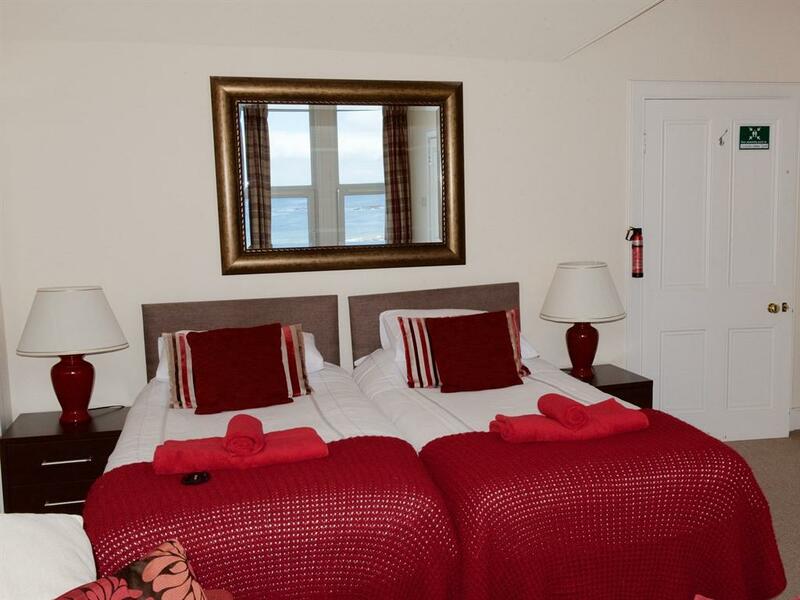 Family en-suite room has comfortable beds can be tailored to suit single beds or super king room alohas sofa bed for 1 adult or 2 children. 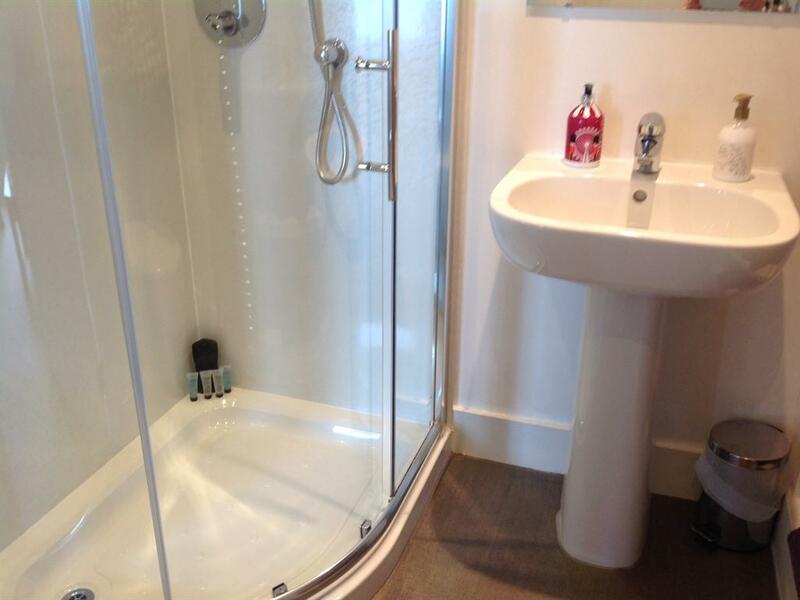 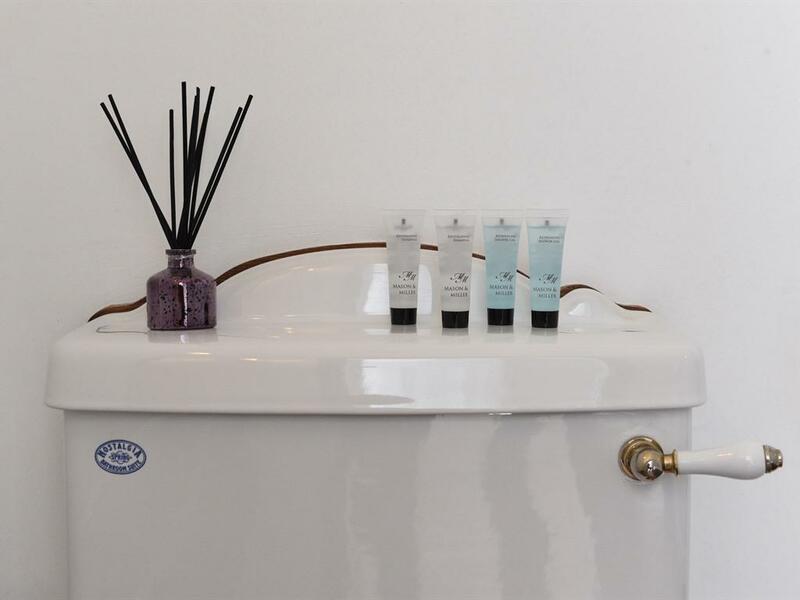 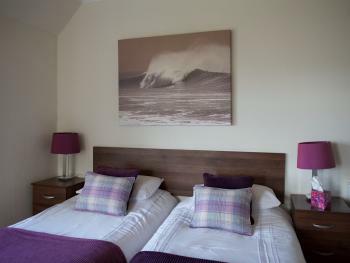 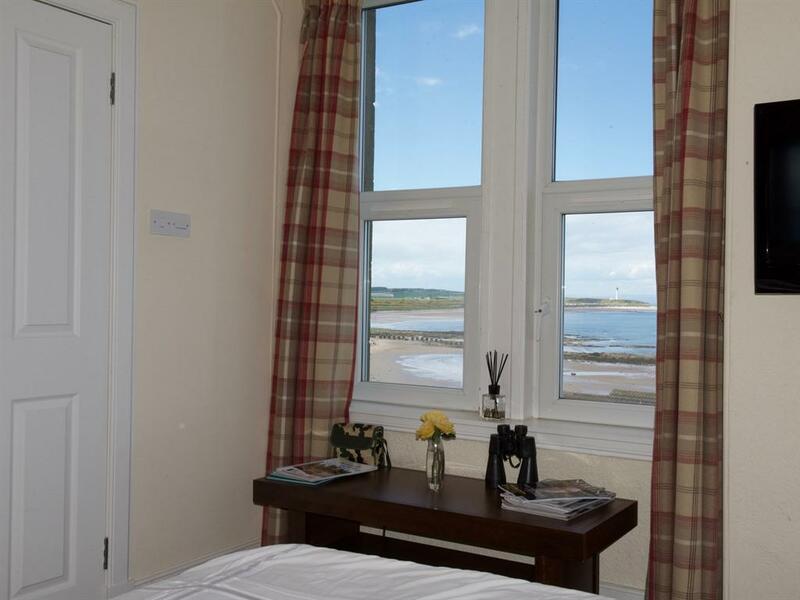 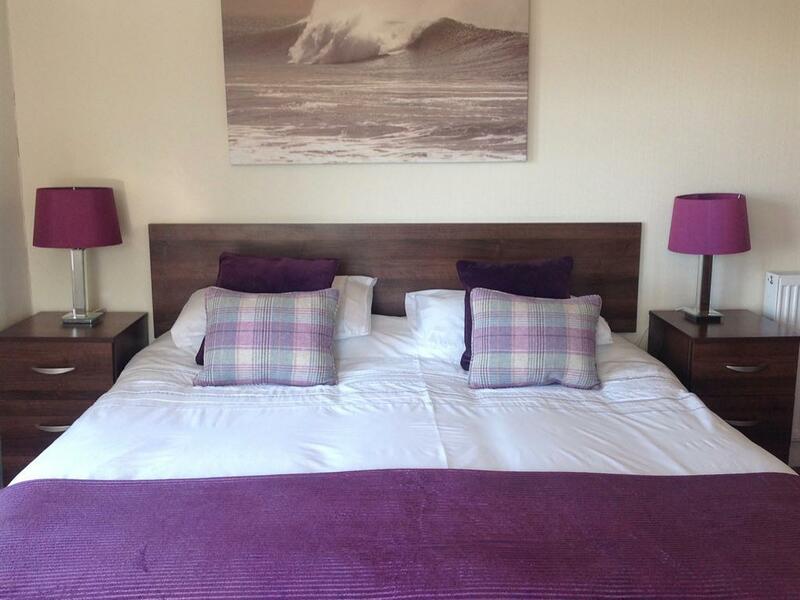 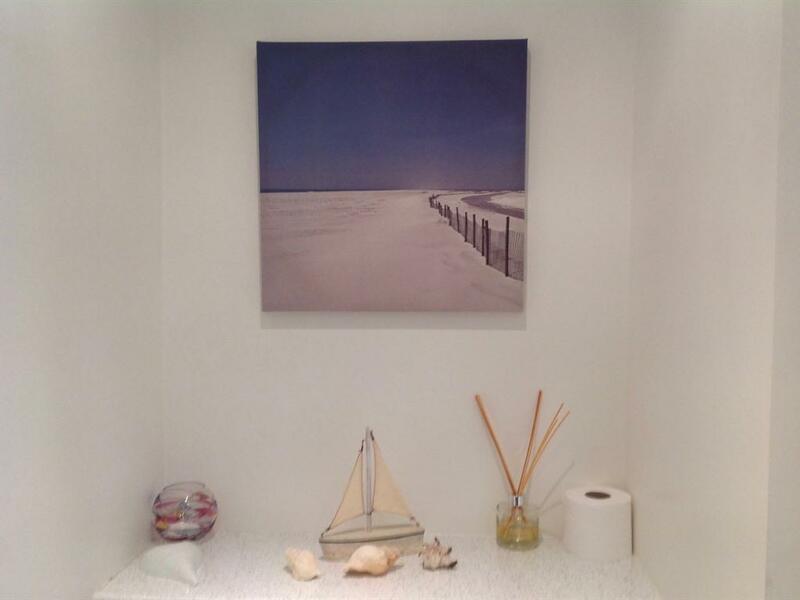 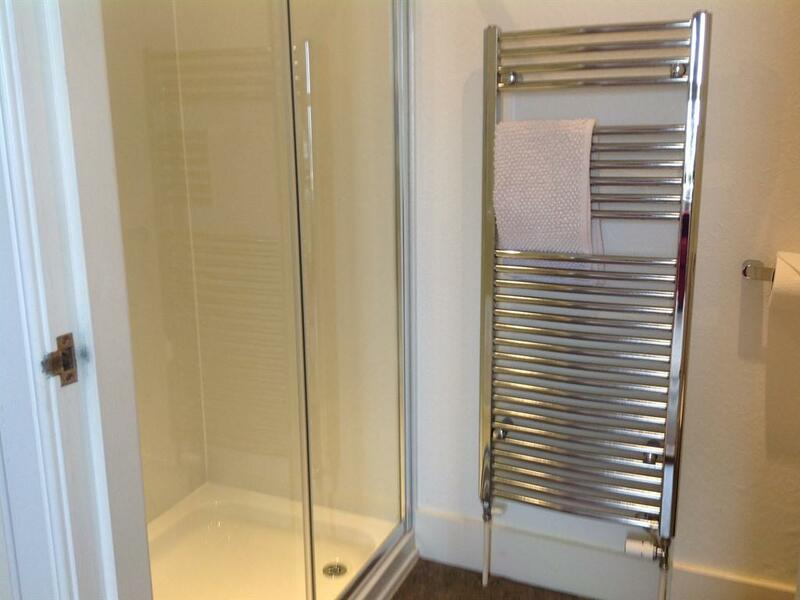 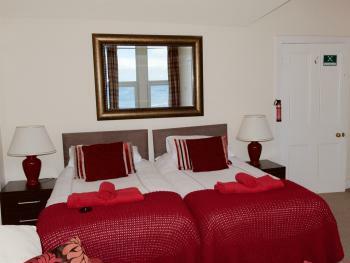 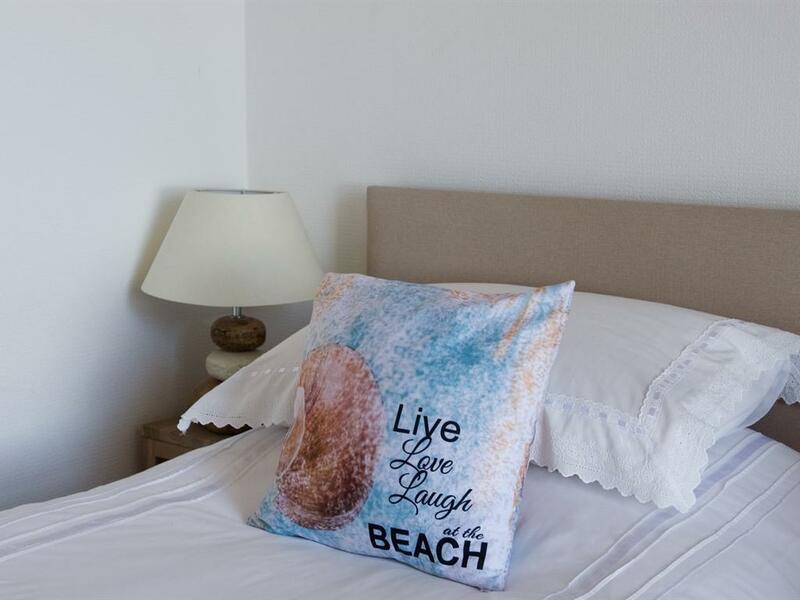 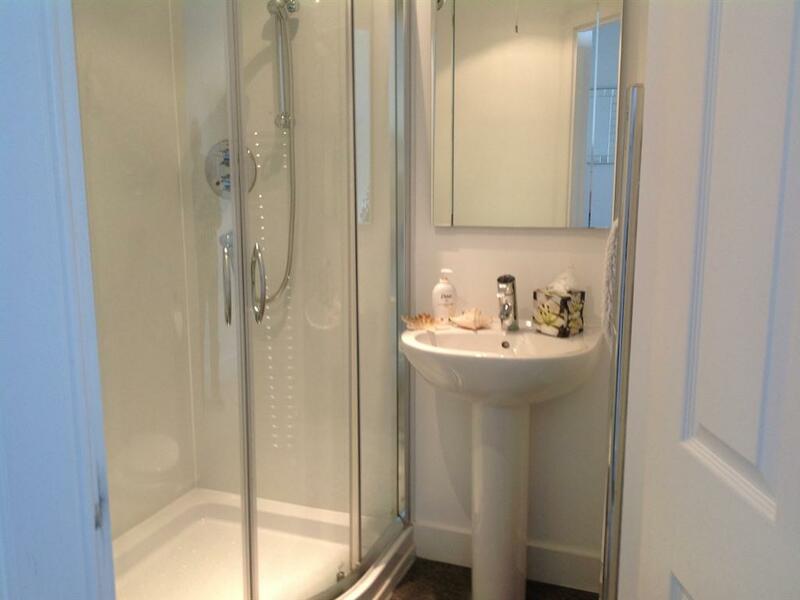 Our lovely Twin en-suite rooms with two standard single beds has a view of the sea.